It may have been past rush hour but many were still commuting on I-96 Thursday morning when an accident slowed their roll. It happened around 9:45 a.m. on eastbound I-96 near mile marker 119. 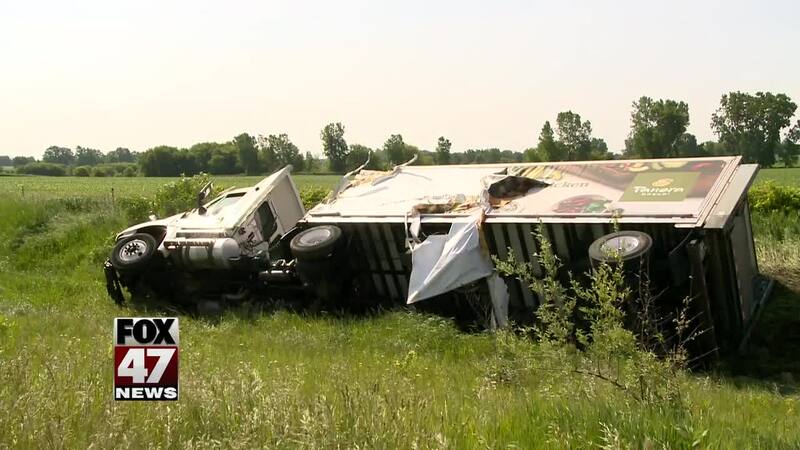 Michigan State Police told FOX 47 that traffic was slowing down due to a lane shift and one semi hit another one. One of the semis ended up on it's side in a ditch. The other one crossed lanes but got his truck under control.